Welcome to Firefly! This is the NAIS Parent Portal. Firefly helps pupils and teachers to organise their homework, and create and access resources from anywhere. Using the email address you have supplied to the school, you'll be able to receive targeted personal updates and access to information about your children and what's going on at school. This includes their homework, timetable, attendance, rewards (House points), your latest contact details and the Year group blogs. You can also bookmark specific pages you are interested in such as the Daily News section. Please click here for more details on logging in, help and a quick guide on how to use Firefly. 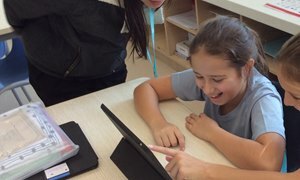 If you have any trouble with log in, send an email to support@fireflylearning.com letting them know you are from Nord Anglia International School Hong Kong. Our unique ambitious approach, inspires academic success and develops socially and intellectually confident children.